These typical biscuits arrive directly from the town of Saint Vincent in Valle d'Aosta, but they are also popular in Piedmont region. Appears to have been fond of these cakes the queen Margaret, wife of Umberto I of Savoy, so much that during her stay in Valle d'Aosta, she gave the servants provisions so they had baked an abundant supply. 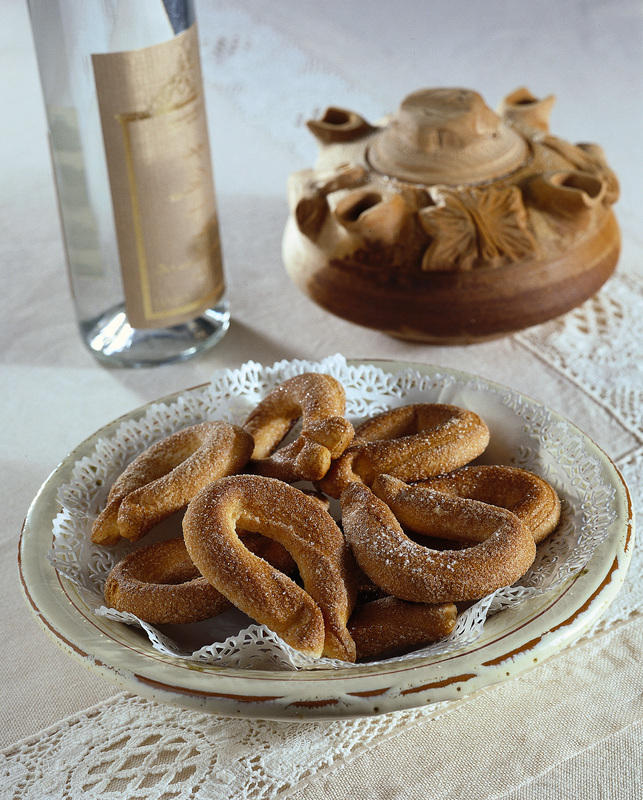 They are donut-shaped biscuits, also called "torcetti" for their twisted dough. The realization is not difficult but it requires patience because of the long resting time of the dough. The ingredients are: flour, sugar, yeast, butter mixed together to obtain a simple but very fragrant and sweet taste. They are so durable if stored in cans so that they can be eaten cold but even freshly baked accompained with white perfumed wine, eggnog or tea. But they match well also with an hot chocolate. Try to believe!